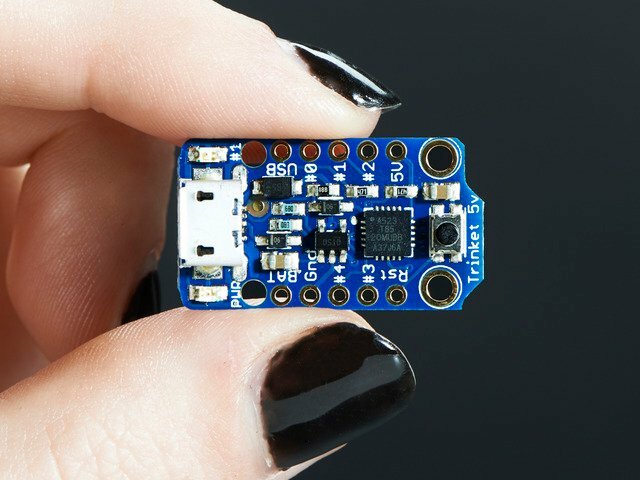 This Geode Necklace Will Make You Sparkle #WearableWednesday #wearabletech #Arduino #DIY « Adafruit Industries – Makers, hackers, artists, designers and engineers! 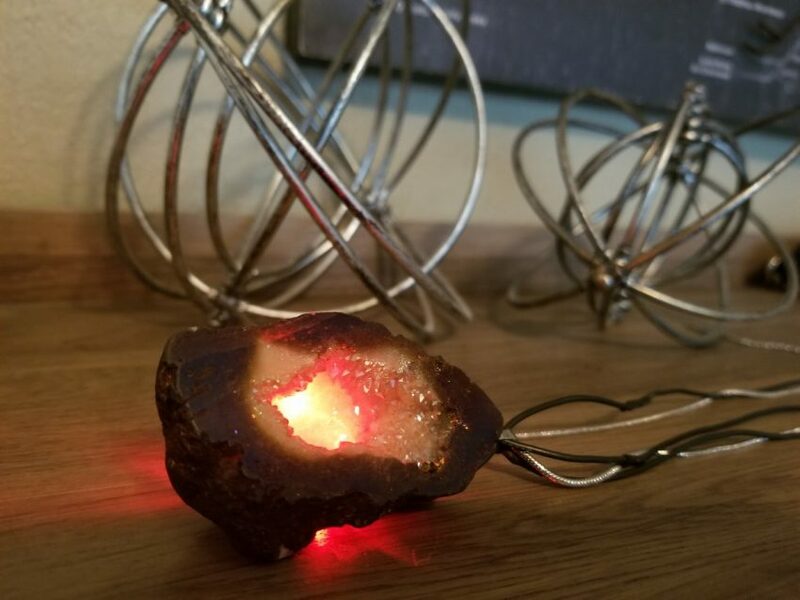 Stone has been a trend, from agate slice jewelry to glowing salt crystal diffusers. Kat Kelsch decided to combine stone and glow using a shimmery geode necklace. 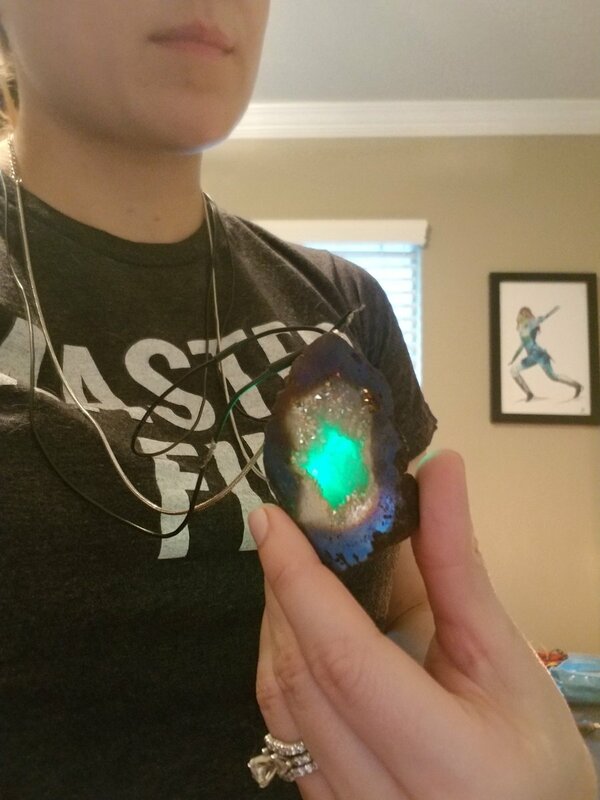 Working with electronics and jewelry is always tricky because it is hard to hide the circuit, however, Kat managed to get the illumination while keeping the natural beauty of the geode as the focus. 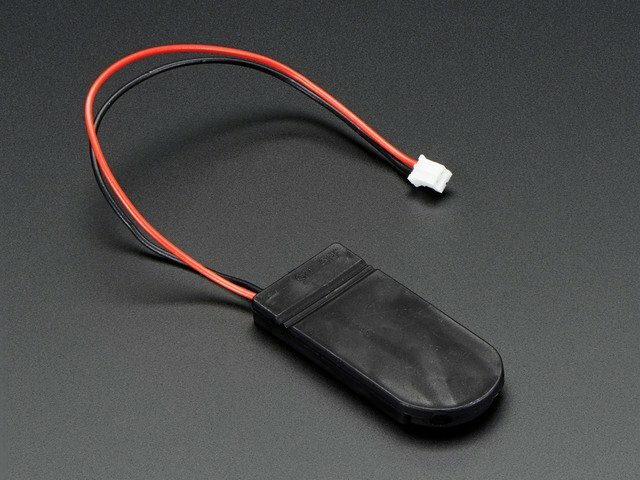 An Adafruit Trinket microcontroller sits on top of a battery case with wires intertwined around the original necklace chain. Two Neopixels glued to the back of the geode provide the light show, allowing Kat to have coordinated outfits. I really like both the red and blue glow as they bring reminders of lava and water. I guess she will need to work on some more jewelry to cover that burn. 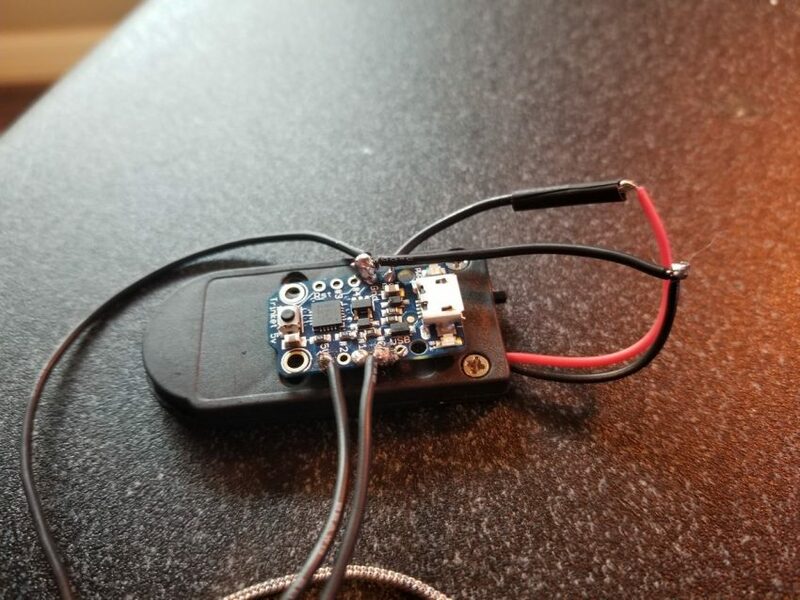 Seriously, this is a cool project and make sure you follow @katkelsch to see more electrical engineering in the wild. Have you made some blinky jewelry? Send us your pics or videos and we’ll give you some cred.